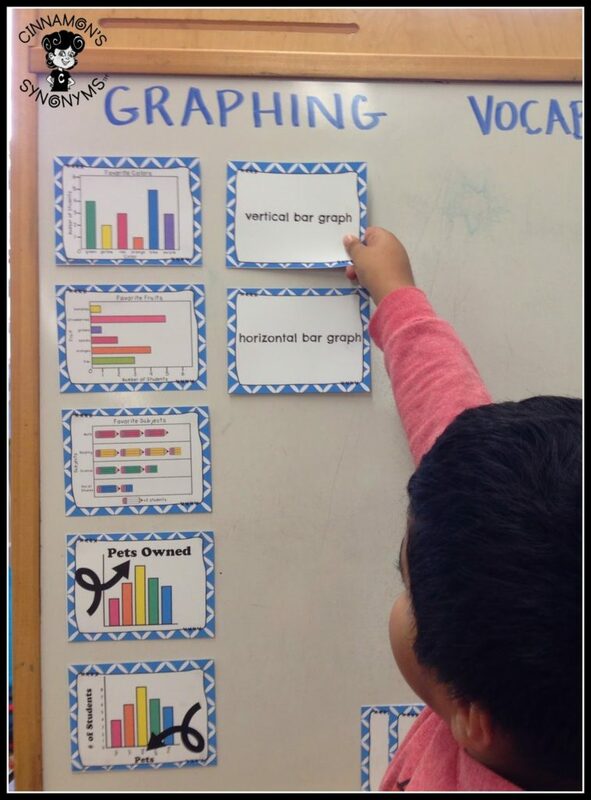 SPICE UP Your Math Vocab & SWEETEN UP Your Graphing! I. LOVE. CHOCOLATE! I seriously think I overdosed on treats this week! The worst part of this confession? Each night after my boy went to bed…I would sneak into his bag of treats to get my sugar fix. This is what a chocolate addiction does to a person. You are probably thinking,”Stealing treats from a little child? How dare you?”. Well technically I worked just as hard to get those treats… I did take him trick-or-treating …in the RAIN!! So, I think I deserved each and every moment of those endorphin releasing highs!!! 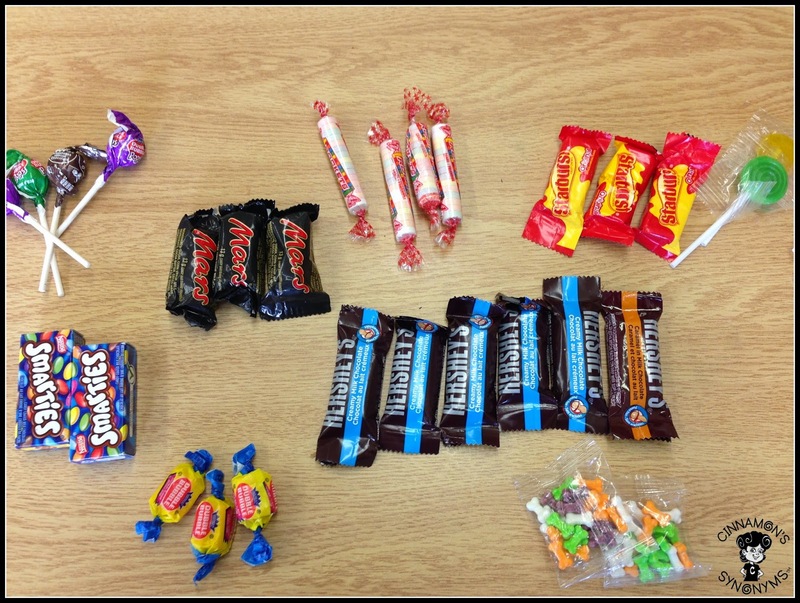 On Monday, my grade 2's couldn't stop talking about all the fun they had trick-or-treating. 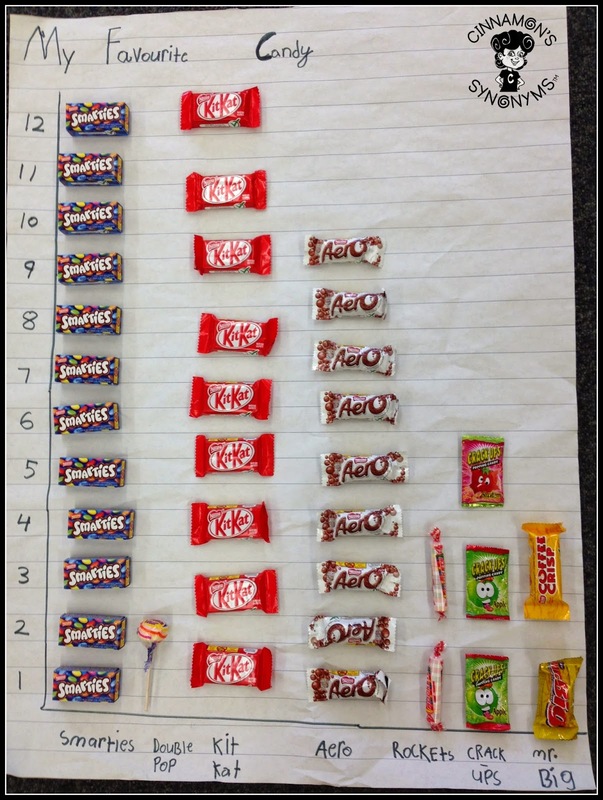 So, as any teacher would… I made the most of their post-Halloween excitement and planned a couple of lessons around it. 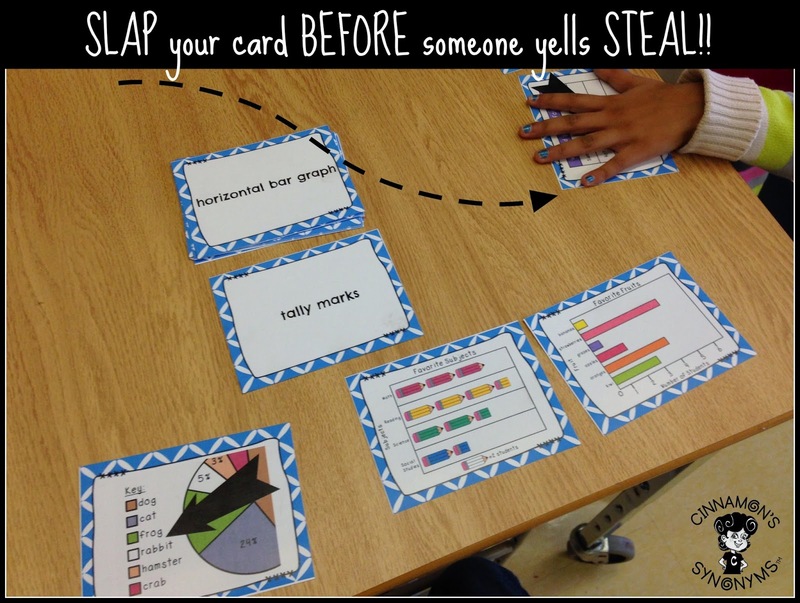 We did a fun writing activity (which I will have to blog about later) as well as some graphing. I got my munchkins to bring in some of their Halloween candy and we allowed these sugary treats to make a guest appearance in our math lesson 😉 Yes, that's how you SWEETEN UP your graphing! First, we reviewed some features of a graph and discussed important graphing vocabulary. 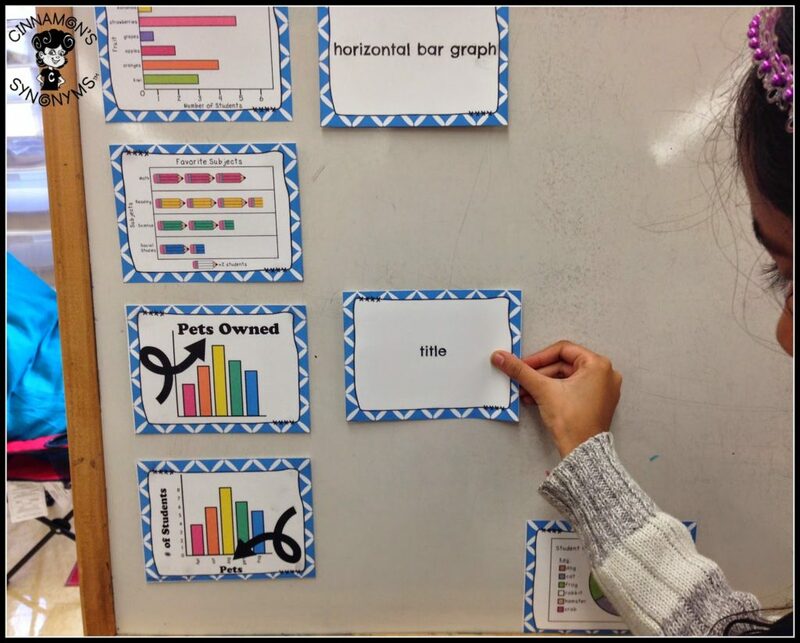 Building math vocabulary is just as important as building the critical thinking skills needed to succeed in math. I have come up with a fun way to do that this year. 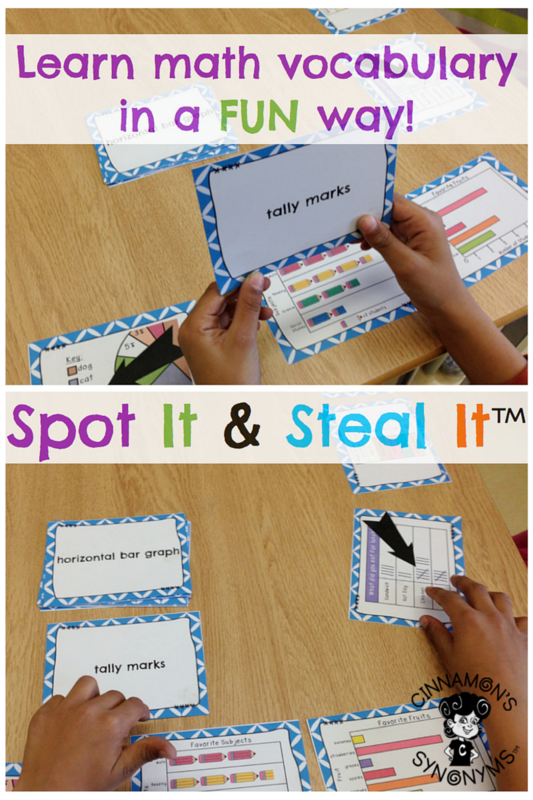 I use my Spot It & Steal It games which my kiddos just LOVE!! The best part? The game cards for my graphing game can do double duty and serve as a WORD WALL!!! 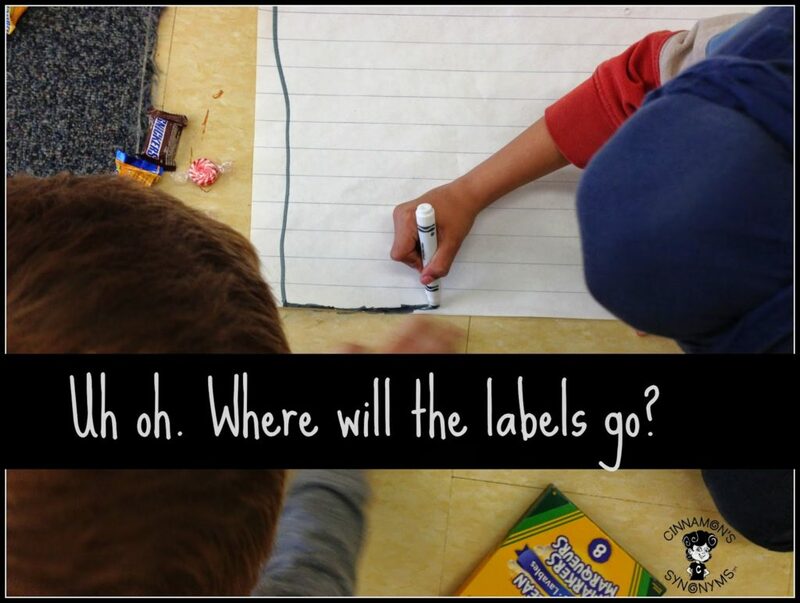 Although we weren't working on a pictograph (or 'picture graph' depending on where you're from) we added it to the word wall because it came up in our discussion. We talked about why a pictograph might be more feasible in day to day life (versus a concrete graph). For example, using real objects might not be a practical way to represent data in everyday life but using pictures to represent real objects is! 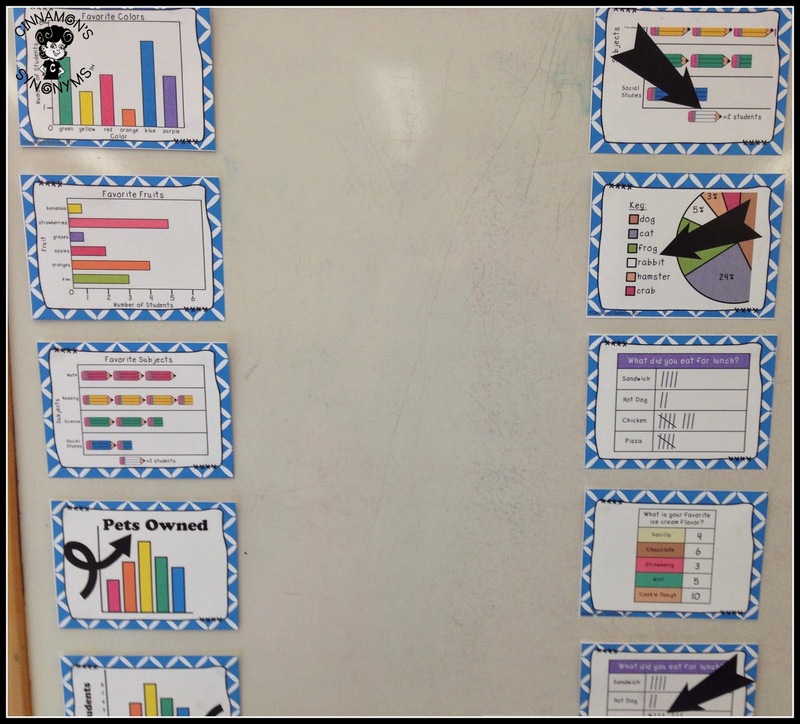 Our graphing activity will be a nice segue into pictographs, so I figured, why not review the word! 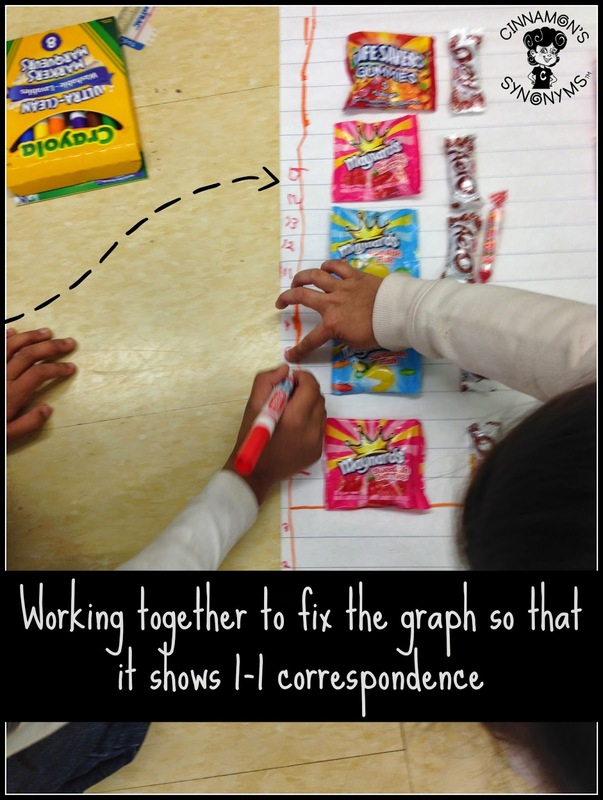 Some were better than others at planning their graph, BUT that's OK! I will use this info to guide my instruction over the next couple of weeks. I will definitely have to review labeling and 1-1 correspondence with a few of them. This little girl is helping her friend understand why his graph shouldn't go up to 15. Wow! This graph impressed me! Although…after looking at it closely, I realized that even this student had troubles with 1-1 correspondence. We will definitely add “1-1 correspondence” to our vocabulary (and word wall) next week! The great thing about the vocab cards is that it also serves to remind me of all the topics I need to cover!!! Each player places 3-4 picture cards out in front of them. Players take turns picking up a vocabulary card. The first person to SPOT the matching picture card yells STEAL and gets to keep the card! If the card is in front of you, and you notice this before someone yells steal… you can SLAP the card so that NO ONE CAN STEAL IT!! !